Dual BW Moroccan carpet is totally designed for a contemporary Moroccan home style. This carpet is woven in India by the skilled weavers. This 100% hand washable and highly durable carpet. Use it with light color scheme furniture and give an outstanding look to your decor. This is a beautiful Dual BW Moroccan rug with nice neutral colors. It is in great condition with no noticeable holes or stains. The yarn of this carpet is dyed using vegetable dye. 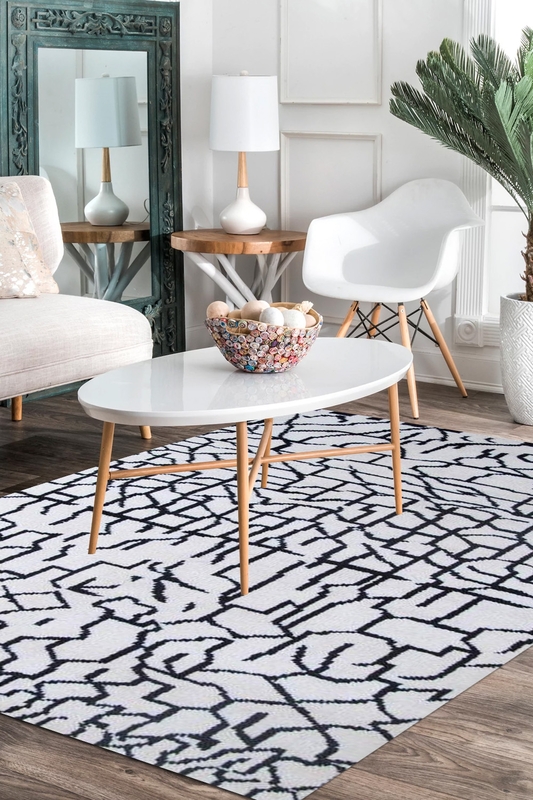 This rug is traditionally hand woven on a handloom with a modern pattern by village women in India. Buy this Moroccan rug for enhancing the beauty of your floor. The design of this carpet looks like the old and cracked wall.